The largest part of our removals service is domestic removals, this involves moving people from one house to another within the UK. We do many domestic removals during the year. They range from moving to the house next door, to moving from East Anglia to Scotland, Ireland, Wales or the continent. We can manage any UK destination with ease. We are based in East Anglia and do many house home removals in Great Yarmouth, Ipswich, Lowestoft, Felixstowe, Norwich, Colchester, Bury St Edmunds, Stowmarket, Clacton, Aldeburgh, Cambridge, Newmarket, in fact we cover the whole of Suffolk, Norfolk, Essex and Cambridgeshire for house removals, house clearance as well as garden and shed clearances. The most important thing to get right when considering ordering a domestic removals booking with us, is the date for the move and do we have spare capacity for the day you are moving on? You can soon find this out by calling us on our contact number and out of hours via our mobile number. If we are free on the day that you want to move, then you will need to confirm the day, which you can do by paying a £50 deposit by BACs or Paypal. We can provide you with Paypal or BACs details when you are ready to book. The next most important item for a domestic removal is, how many items are you going to move? The best way to determine this is to call us out to your house so that we can estimate the number of vans required. We use 3.5 ton Luton vans, with a load capacity of 23 cubic metres per van. On average a single van can cater for a 2 to 3 bedroom house and 2 vans can cater for a 3-5 bedroom house. Needless to say this is an estimate, as some people have a lot more items to move than others. The other key to success for a domestic removal is how to pack your items into boxes, see the section on Packing Services to get the best results. The next key to success is how well your items are packed in own vans. A well stacked van with items tied down with sashes and protected with blankets is the main key to success. Our staff are well trained with this and will usually pack deep and high to minimise any movement on the journey. A well stacked van is the key ingredient to success. The right removal company can work with you to help take some of the headache out of moving house. Businesses will vary in terms of whether they require a deposit, the insurance they offer and the costs for particular services. Obviously the size of the move and the distance travelled will affect the cost. Remember the cheapest isn’t necessarily going to be the best. Check which tools and services are included in the price, such as furniture or mattress protectors, or the supply and removal of packing materials. Obviously budget comes into play, but you need to decide whether you want to do all the packing yourself, or hand over some or all of it to the company. If you don’t want to pay for a full pack, a partial packing service might work for you. People often opt for a packing service when they don’t have time to do it themselves. Packing services also work well for people who have a lot of fragile or expensive items that they want the professionals to handle.A partial pack can help customers who don’t want the full service. The kitchen is the worst room to pack, because of all the china, glassware, cutlery and so on. Some customers want the removals company to take care of everything for them, others will ask us to take care of their fragile goods, and others may start the packing but reach a stage where they can’t cope with it anymore. Removal companies have busy periods – just like any other trader – and it’s best to book in early. It’s best to contact them as soon as they think about moving. It’s not just about moving day, it’s the materials, recycling options and help with storage, too.Ideally book around four to six weeks in advance if possible, and certainly as soon as you’ve got a potential completion date. This is particularly important if you want to move on a Friday, in summer, or in the run-up to Christmas, as these are often peak periods for removal companies as solicitors prefer to complete between 12 noon and 2 pm on Fridays. Be ready to go on time. When you’re moving as part of a chain, funds are transferred between 1 and 2pm, so you need to vacate the property by midday and can incur penalties if you fail to do so. If you’re doing the packing yourself, get everything ready to go before the removal team arrives. Ask your removals firm to start early if there’s a lot to do, to ensure you’re out in time. Keep a parking space available for the removal van/s. Keep kids and pets out of the way if possible. ‘If your children are around, keep them in one area of the house. You can always allow them to draw and colour in some of the boxes to ‘contribute. Have a box for last-minute bits and bobs. Keep the kettle out until the last minute – removal porters run on tea and coffee. This box can also be a useful place to put TV remotes and other handsets. 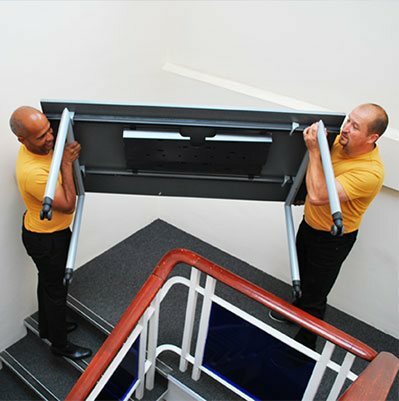 Give the removals team space to work. The removals team won’t necessarily work in the way you expect. They stack the lorry with what they need to fit, so don’t be surprised if they fill it up in an odd order,’ said Judith Gray. Always do a final check around. It’s easy to miss things – your mover will check the house, but you should too. On arrival, your movers will unload the boxes into the rooms you specify on the labels, and put boxes where you say. They will do a visual inspection and ask you to sign the job sheet, to confirm that all your belongings have arrived. If you’re unpacking your belongings yourself, don’t rush. Unpack your essentials and then take it steadily. You’ll need to check your insurance policy, but ‘it’s best to unpack within a seven-day period, so if there are any damages that need to be claimed for, insurers will accept that as within a ‘reasonable time. If any items have sustained damage in transit, you can claim for this on the insurance. However, if you unpack items yourself, your claim will only be successful if it’s clear that the damage was sustained during the move, and not a result of your unpacking. If you want your insurance to cover unpacking as well, you need to let the movers take care of it. Some removal companies will collect any packing materials from you to recycle them. If not, check your local authority site for details about how to recycle. Traders like feedback, be encouraged to do so, so others can learn by your experience. We used East Coast removals to move us from Great Yarmouth to Exeter. They estimated that it all went in to 1 van, which it did, only just! They turned up on time and moved the whole house in 1 day finishing around 9pm with very few breaks. They did a good job and were about half the price of the removals company we were going to use. Moved from Great Yarmouth to Cambridge-all went well without a hitch. We also had a few things to dump which they also took away. Great article. 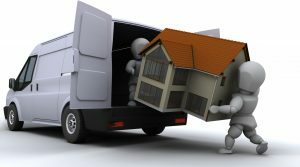 I would like to share services of Removals in Colchester by Taxi Truck Removals who are able to work as per your demand and time. They give professional services to help you clean up your area very fast. Highly recommended. Very informative article. Thanks for sharing this. It is indeed important to know about the right removal companies. You can also get the best removal services from here. East Coast Removals Ltd did a complete house removals for us from Ipswich to Felixstowe, Suffolk. They turned up on time, they were professional, they packed really well and everything went without a hitch. A really useful tip was that I wrote which room every box went in to, so they were all deposited in the right rooms without me having to tell the guys where to put them.